Get closer to the dinosaurs! 28 mighty dinos revealed in massive full-colour pictures and incredible facts based on the latest science. How do you like your dinos? Savage or tame? Flying, swimming or running? With spikes or with feathers? Now you needn’t choose. 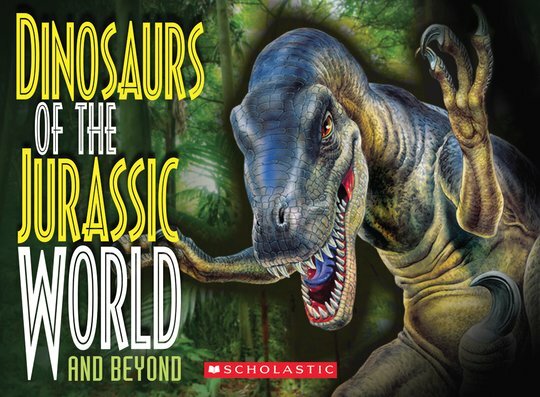 You’ll find dinos of every kind in this bumper feast of Jurassic monsters! There are the famous ones, like T-Rex and Velociraptor. But plenty you’ve probably never heard of too, like giant eel Dunkleosteus. Learn all about them in amazing colour pictures, fact boxes, locator maps and size charts. Just like your own Jurassic tour! 1000L Lexiles are the global standard in reading assessment. They are unique as they are able to measure a child and a book on the same scale – ensuring the right book gets to the right child at the right time.